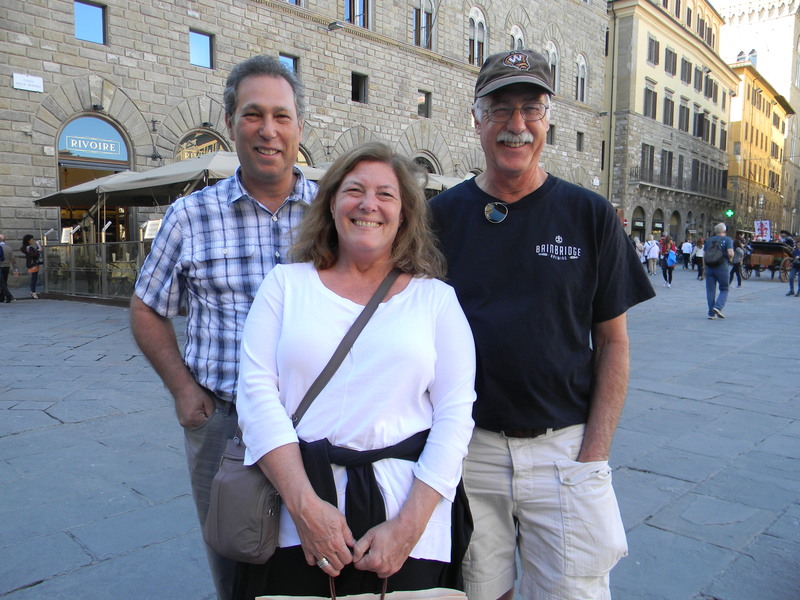 We zip into Florence to meet dear friends at Hotel Bernini. It is posh, next to the river. Our mood lifts and spirits brighten. Our friends help us see a jolly way forward: buying shoes! which always helps. 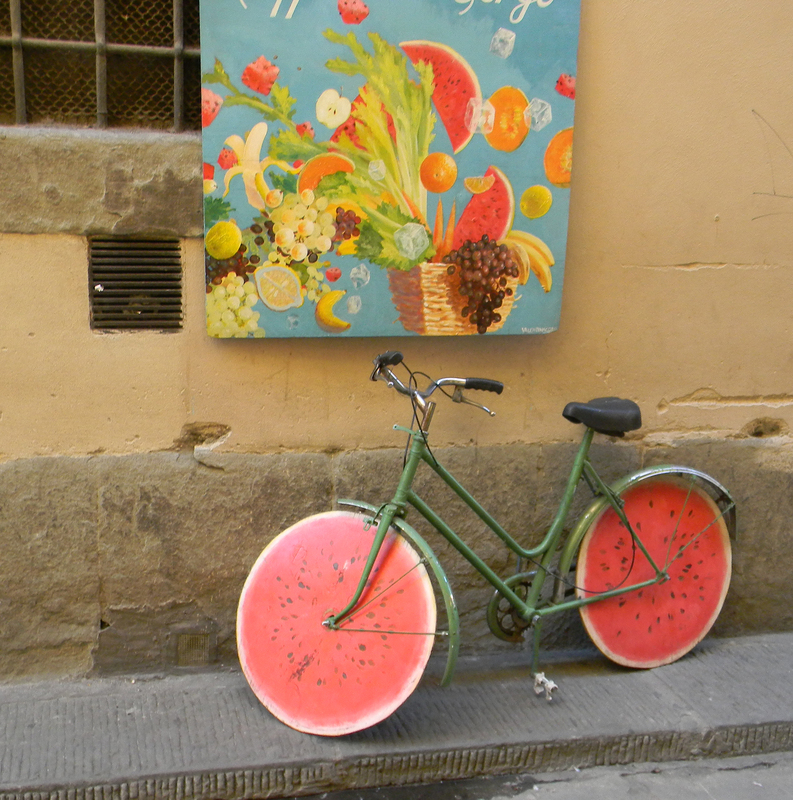 We shop and eat our way out of la nebbia, our workday fog. We enjoy all 4,000,000 bricks of the Duomo, the largest masonry dome on earth. 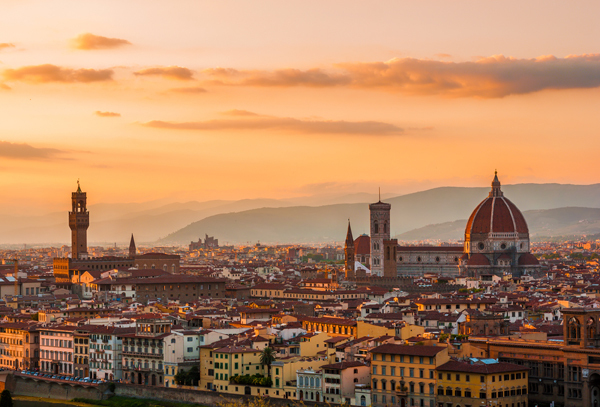 We bask in the lovely golden light that is Florence. We treat ourselves to a convivial lunch of several yummy courses in a courtyard. Of course we share all of our dishes – even those we don’t really want to share. That is friendship. Our Florence interlude is a delight. We do not rush home. Rushing is impossible anyway, due to relentless snarls of traffic. We resolve to travel to this glorious city by train from now on. We also agree that this visit has been a joy. 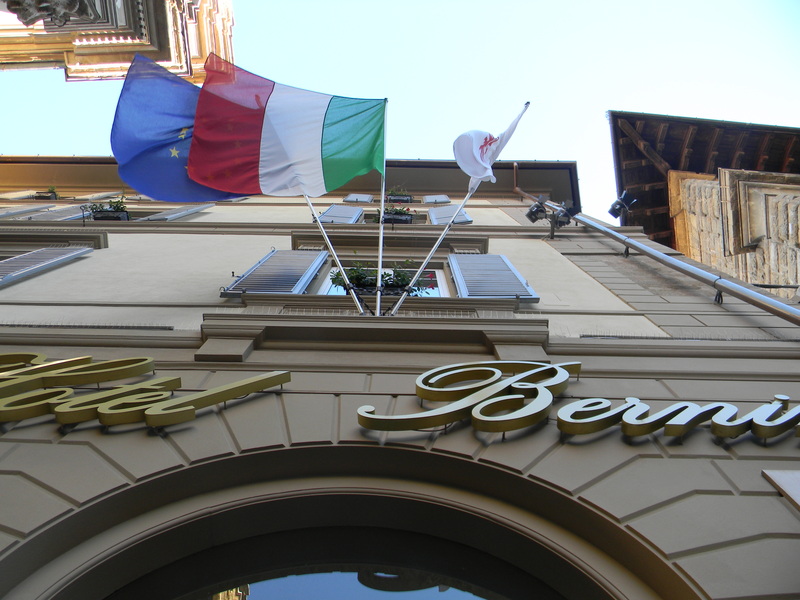 This entry was posted in Food and Wine, International, Italian Travel and tagged Firenze, Florence, Hotel Bernini, Italy. Bookmark the permalink.